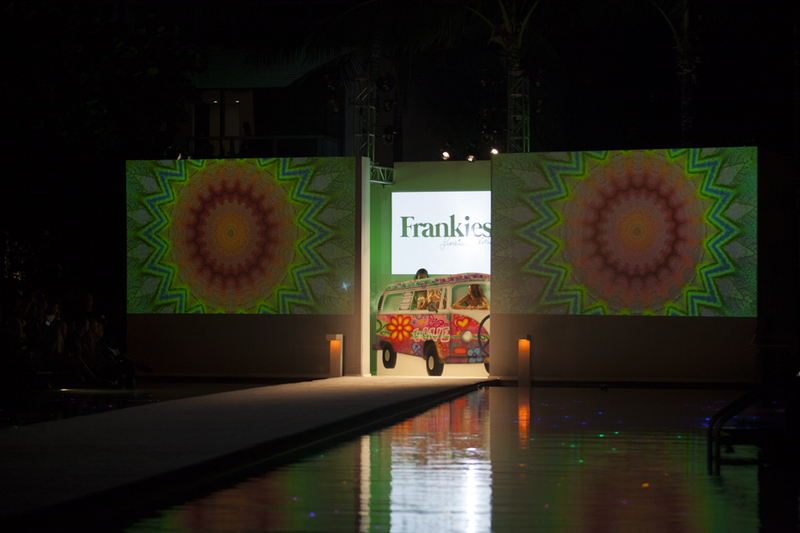 Frankies Bikinis had a runway show on the Friday night of Swim Week at the W Hotel in South Beach. 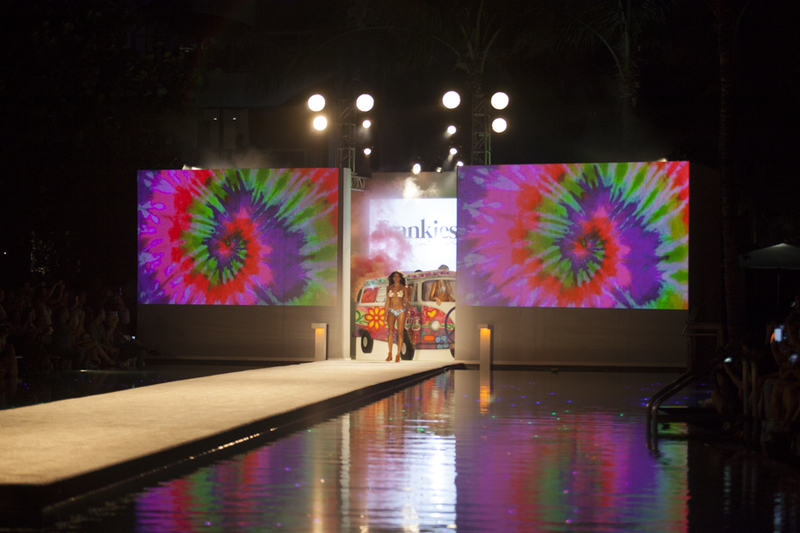 Her’s is one of my favorite runway shows purely because the models look like they are having such a fun time. 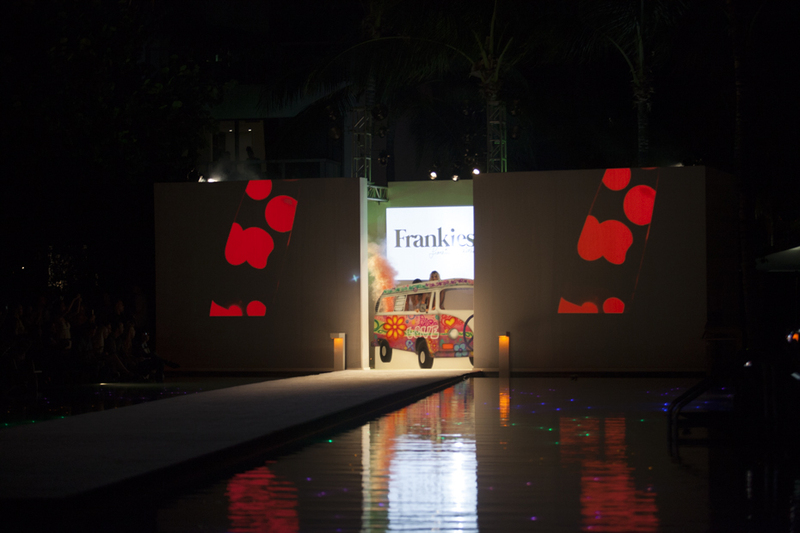 They came down the runway with flowers, signs, and bell bottom jeans, and the whole vibe was 60’s inspired. 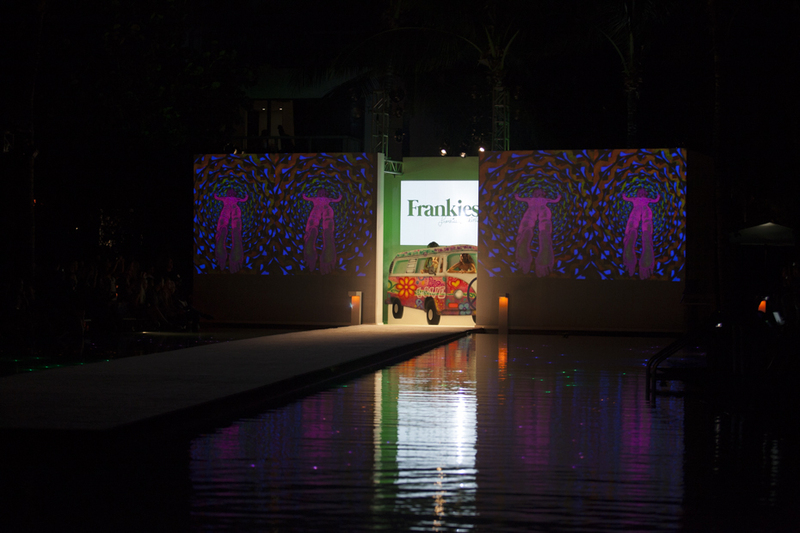 I was at Frankies Bikinis show last summer and it’s great to see how designers find new inspiration but keep with the theme of their brand.